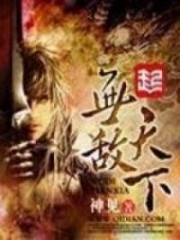 You’re reading novel Chaotic Sword God Chapter 214 - The Zhou Clan’s Brave Rush online at LightNovelFree.com. Please use the follow button to get notification about the latest chapter next time when you visit LightNovelFree.com. Use F11 button to read novel in full-screen(PC only). Drop by anytime you want to read free – fast – latest novel. It’s great if you could leave a comment, share your opinion about the new chapters, new novel with others on the internet. We’ll do our best to bring you the finest, latest novel everyday. Enjoy! This large sound stunned everyone. However, they quickly regained their bearings and their expressions grew dark. No one present was a mediocre person and had a decent sense of hearing. Just from hearing the door break into pieces, they knew that a man had done it. “Impudence!” The clan leader of the Zhou Mercenaries slammed his hand onto the armrest of his throne, causing a large splitting sound to ring through the room. “Who dares to be so audacious? To cause trouble for our Zhou clan? Everyone, with me! Let us go see who dares tread on this sacred ground.” The Zhou clan leader stood up with a dark expression. As he stomped out of the room toward the courtyard with a furious mood, everyone else followed. The Zhou clan leader brought the group to the entrance of the courtyard where ten guards of the Zhou clan were already stationed. From every corner, more and more guards began to pour in and increase their numbers constantly. A sharp eyed guard cried the moment he saw the clan leader come toward them. Like water, the crowd of guards immediately made way for the clan leader to walk through. But even after that, the entire area was filled to the brim with Zhou clan guards. Surrounded by the Zhou clan guards was a single youth that was around the age of twenty. The youth wore a white robe that seemed to be of an inferior material, but that did nothing to hide the characteristics of this youth. The youth was exceptionally handsome, and had pale skin that emphasized his facial features. Although his expression was neutral, there was a charm in his eyes that would make any female that saw it go crazy. Hearing those two words, Zhou Yun couldn’t hold himself back. His eyes flashed dangerously as the killing intent flew out at Jian Chen. Instantly, a long spear appeared within Zhou Yun’s hand as he shouted, “You dare destroy the mercenary group I spent twenty years creating? Youngster, it matters not who you are, I, Zhou Yun, will make you live a life worse than death and suffer from the eternal torment of the world! With this, I will take revenge for my fallen brothers!” A large amount of Saint Force flew from his Saint Weapon as he stabbed at Jian Chen. Jian Chen revealed a cold smile as the Light Wind Sword appeared in his right hand and flew out at the same time as the spear. The Light Wind Sword carried a large amount of Sword Qi as it struck against Zhou Yun’s spear firmly. A large sound rang out into the air as the two Saint Weapons made contact with each other. In every possible direction a large shockwave spread out so dense that it could be seen by the naked eye. Along with the pulse of Saint Force, a large cloud of dust was kicked up and surrounded the area. At the same time, the weaker guards of the Zhou clan were forced back a few steps because of it.. Sword met spear as Jian Chen and Zhou Yun were locked in a stalemate. Immediately in between the two a white colored glow appeared as the Light Wind Sword suddenly shot toward Zhou Yun’s throat. This sword was unbelievably fast so much so that before Zhou Yun could react, it was already less than a foot away from his throat. Zhou Yun’s face suddenly grew startled, but because of his countless years of battle experience, he remained calm under pressure and instantly kicked backward. At the same time the long spear in his hands sprung back to him and went to block the sword. Just as Zhou Yun brought his spear in front of himself, the Light Wind Sword slashed across the spear, transmitting a large amount of power through it. The power continued to transmit from the spear to Zhou Yun and forced him to stagger a few steps back. Even though Zhou Yun was a Great Saint Master, it hadn’t been a long time since he made that breakthrough. He was only a Primary Great Saint Master, and compared to Jian Chen, Zhou Yun’s strength was comparable to a Peak Saint Master at most. Then, as Zhou Yun was pondering to himself and tried to stabilize his backward momentum, a white light suddenly flew at him with an even faster speed than the first one. In a split second, the Light Wind Sword had reached the throat of Zhou Yun. This moment, Zhou Yun could only look at the sword in shock due to how fast the sword was, instantly realizing that he had no time to react. Suddenly, just as Zhou Yun resigned himself to death, a large broadsword flew out to come across Zhou Yun’s body. At the same time, Zhou Yun could feel two elderly but powerful arms grab him around the shoulders and pull him away from his death. A screeching sound could be heard as the sword that was originally meant to pierce into Zhou Yun’s throat stabbed against the horizontally flying sword. The owner of this sword had unexpectedly been the leader of the Zhou clan, Zhou Butong. However, the feeling that Zhou Butong was giving off felt as if he was a sword that had yet to be unsheathed. It was only after this moment that people felt that the sword was now being unveiled and was ready to strike. 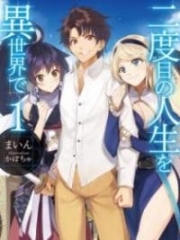 You're reading novel Chaotic Sword God Chapter 214 - The Zhou Clan’s Brave Rush online at LightNovelFree.com. You can use the follow function to bookmark your favorite novel ( Only for registered users ). If you find any errors ( broken links, can't load photos, etc.. ), Please let us know so we can fix it as soon as possible. And when you start a conversation or debate about a certain topic with other people, please do not offend them just because you don't like their opinions. You're reading Chaotic Sword God Chapter 214 - The Zhou Clan’s Brave Rush. This novel has been translated by Updating. 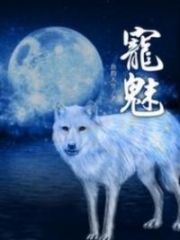 Author: Xin Xing Xiao Yao already has 12220 views. Current Time is Apr-20-2019 22:23:59 PM.